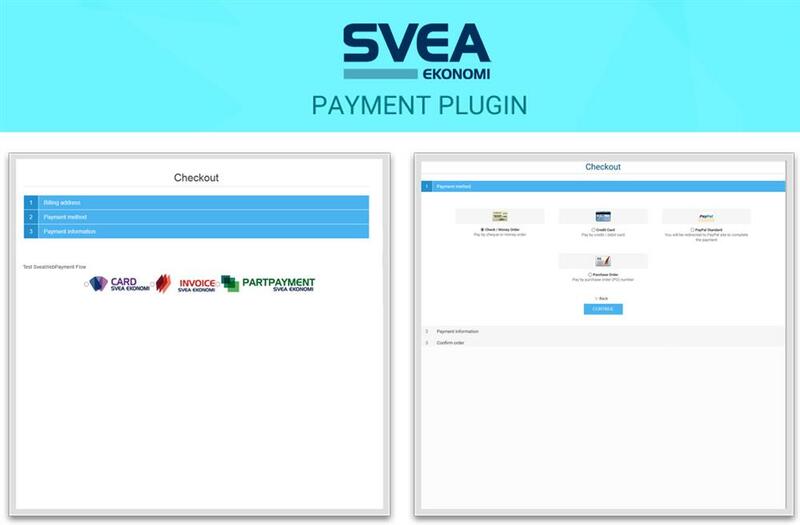 Svea Ekonomi Webpay Payment Plugin implemented as a nopCommerce payment method. It supports payment option of Card Payment, Invoice Payment and Part Payment. 2) The address verification using SSN number for Invoice and Part Payments options. 3) Implemented as a nopCommerce payment method. The address verification using SSN number for Invoice and Part Payments options. Implemented as a nopCommerce payment method. Supports Card, Invoice and Part Payment options. Copyright © 2019 NopMods. All rights reserved.